These questions and answers are additional to those asked and answered in the earlier FAQ on INO1. Some overlap between the two sets of questions may occur; however, the two FAQs have not been merged since it is expected that there will be more interest in reading the answers to currently asked questions. INO is funded jointly through the Department of Atomic Energy and the Department of Science and Technology. These are the two major organisations which support higher education and research in basic sciences in India. There are 21 Institutions involved at present and the details may be obtained from the INO website. As an open collaboration where we welcome the contribution of new institutions/groups, this number may change from time to time. Tata Institute of Fundamental Research (TIFR) is the host institution, with Prof. Naba Mondal as the Project Director. INO's focus is on neutrino physics research, including related detector development as well as physics and simulations studies at its various collaborating institutions. The financial approval for the project was given in a central cabinet meeting on 24th Dec 2014 with a budget of 1584 crores2. The actual project construction for the Underground laboratory and its associated surface facilities will commence only in the next financial year, that is 2015-2016. Planning for an Inter-Institutional Centre for High Energy Physics (IICHEP) at Madurai has also started. This will be the nodal centre for all of INO activities taking place all over India. Currently, activities of IICHEP are coordinated in a rented premises at Madurai. At present, INO is a totally Indian effort. We would like to highlight that big science is today an international effort. Just as our scientists participated in experiments at CERN and shared the glory of discovering the Higgs boson, we hope to see the global science community participating in experiments to be done at INO. This will happen if we succeed in building this world-class lab in an efficient and timely manner. This needs cooperation and support all around. Who suggested the idea of INO? What is expected to be its outcome? INO is a basic sciences project with the main goal of studying the properties of elementary particles called neutrinos. While hundreds of billions of neutrinos from sources such as our Sun pass through us every day, they are so weakly interacting that it is estimated hardly one neutrino may interact with a human over an entire lifetime. In particular, INO plans to study the atmospheric neutrinos that are produced when cosmic rays impinge on Earth's atmosphere. The science goals of INO are both complementary and competitive with other neutrino experiments around the world. Neutrino detectors are built underground so that background due to naturally occurring cosmic radiation can be reduced. Hence the INO lab will be housed in a cavern inside a hill with at least 1 km of rock cover in all directions. 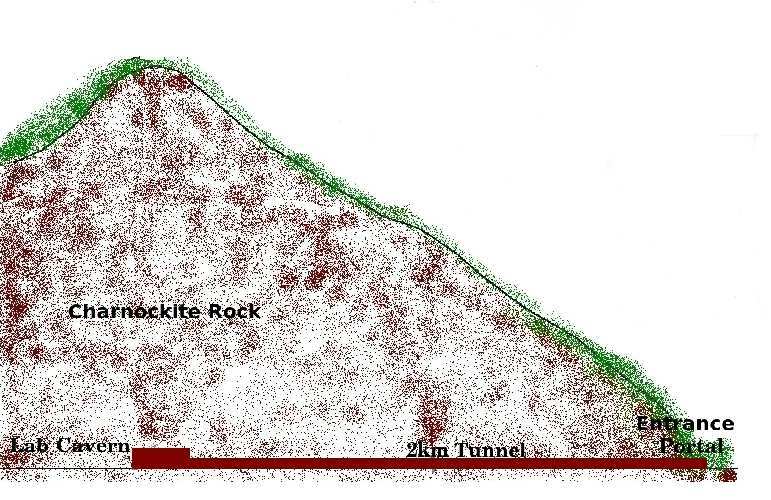 The access tunnel is horizontal, not vertical, unlike a mine shaft (see Fig 1 ); it is very similar to a road or rail tunnel of which there are many in India. Figure 1: The schematic of the INO access tunnel and cavern. INO collaboration emerged out of a grassroot movement in Science with scientists coming together to build a world class observatory in India. The idea was mooted during a Workshop on High Energy Physics and Phenomenology in the year 2000. The INO collaboration was formed afterwards. It took many years to shape the scientific aims and objectives of INO. In particular every component of the detector have been designed and developed indigenously. Indian scientists were pioneers in Cosmic Ray and Neutrino Physics. KGF underground laboratory was one of the first such labs established in the world. INO is an attempt to revive this pioneering spirit. In particular, INO hopes to galvanise interest in science and science research in and around Theni and Madurai and in the whole of India as well. It is an opportunity for students to do cutting edge research, while being located in India, and for local students in colleges to understand the thrill and processes of doing basic sciences research. Any such large basic sciences project has immense technological implications which will serve the larger interests of the society. The electronics and detector R&D done for INO has already generated an entire industrial interface with INO. This will have a cascading benefit over time. Which are the other places (other than Pottipuram) that were looked upon to set up INO in India? What were the studies conducted to ascertain the feasibility of other places? Can you please give more information on this? Physics criteria: The rock cover over the laboratory (should be more than 1000 metres all around). This is necessary to reduce the naturally occuring cosmicray back ground. Geotechnical criteria: As the laboratory caverns are to be located deep underground with an access tunnel, rock mass quality, smooth tunnel ability and low seismicity are essential. This is important since the laboratory will have to exist for many decades and people will be working inside 24 hours. Safety of people and material is a prime concern. Environmental criteria: There should be minimum impact on the surrounding environment including the flora, fauna and local people living near the underground laboratory. Infrastructural Facilities: Access and availability of power and water resources including proximity to railhead and airport. The sites assessed for INO were first done on the basis of topographical study. After it was found the cover is available and tunnel length is reasonable, some sites were shortlisted for geotechnical study. Once this is completed the site is chosen for environmental impact study. Only after such studies are completed the site is finally declared suitable for INO. Though both Himalayas and hills in South India were considered4, after taking the expert advice from geologists the search was narrowed down to South India. The region below 13o North latitude5 is stable from a geotechnical point of view with good rock mass and seismic stability. This includes Tamil Nadu, Kerala and even parts of Karnataka. However, avoidance of heavy rainfall areas led to the choice of the steep slopes of Tamil Nadu. Besides these reasons, drier climates with relative humidity low is preferable for efficient working of detectors6. Why was the proposal to locate INO at Suruliyar withdrawn? It is a fact on public record that while doing the site survey, Suruliyar was one of the sites studied and the Minister of Environment was open to this suggestion. However, the scientists themselves decided that, due to the dense forests and presence of wildlife around this area, Suruliyar is not suitable for locating INO. Hence there was no question of withdrawal of proposal since it was never made. Why was Pottipuram chosen above other places? At first a site at Singara in the Nilgiris was chosen. This was preferred because already 13 kms of tunnels were constructed for the PUSHEP underground hydel project next to the site. In addition water, power and access were easily available at this site. However due to the proximity to the Mudumalai WLS which was at that time redesignated as a tiger reserve as well as an elephant corridor in the vicinity, forest clearance was not obtained for this site. Nevertheless, the then Hon'ble Minister of Environment and Forests has noted: "I have also had an occasion to go through the environmental management plan and the environment impact assessment of the proposed Observatory and I commend these reports for the level of detail and the sensitivity demonstrated to environmental issues." Once the earlier chosen site at Singara was not cleared for INO, many other sites were investigated. Detailed topograhical survey, preliminary geotechnical survey and physical inspection of the site after detailed deliberations with the Forest department, suggested the steep slopes of hills in the Theni district as the most suitable site for locating INO. Geotechnical studies were conducted at Suruliyar, Kottagudi, Pottipuram. Suruliyar and Kottagudi were found unsuitable for environmental reasons. Pottipuram site under the Bodi West Hills range was the most suitable in this region since it afforded the shortest tunnel length (1910 metres), the tunnel portal could be located in Poromboke land (as opposed to forest or private land). The rock quality was found to be very good; furthermore the surface of the hills, even though classified as RF, does not have dense vegation. There is no intense agricultural activity in the vicinity. The environmental impact assessment also confirmed the chosen site, indicating that there will be minimal impact that can be easily managed. What are the clearances you have obtained at this site? The MoEF, GOI gave the project environmental clearance on 1 Jun 2011 after detailed presentations by the project proponents7. The TN government has given, at free of cost, 26.82.5 ha of poromboke land for setting up INO lab. This comes under Pottipuram panchayat in Theni district. It is not in Bodi village. Did you take permission of the Kerala State Government for establishing INO? No part of the project lies in Kerala State. The access tunnel and all caverns are completely within Tamil Nadu. Hence no permission is mandated. However, in view of the concerns, INO scientists have held many awareness meetings in Kerala. The assessment area for EIA is mandated to be a 5 km radius around the portal location. Some of this study area falls within Kerala, prior existing data from this area was used by SACON in their EIA report. This does not mean that the project has any component in Kerala. Hence no such permission from the State of Kerala was required by the MOEF, Goverment of India nor was asked. In which Seismic zone does the project come under? What are studies done to ascertain the seismological factors of this project as this lies in Suruli Shear? All geotechnical studies for the project have been conducted by Geological Survey of India (GSI) which is the competent authority. The geotechnical study was commissioned to compare different sites in Theni district. After these studies, a more detailed survey was done on Pottipuram site to study different possible tunnel alignments. Both these studies were done before the drilling of bore holes, and used field visits, surface rock characterisation and previously available data with GSI. The study reports were communicated to INO in Oct 2009 and April 2010. The drilling of bore holes was done later in order to determine the location of the portal (tunnel entrance). All the existing seismological data has been studied by GSI. The GSI has recommended provision of seismic coefficient for the detector structure. This will be carried out during construction. It may also be noted that the INO site is not in the Suruli shear zone but in a minor shear zone parallel to it; hence the apprehension that the project is located in the "most degraded portion of Suruli shear zone" is incorrect. The Idukki dam is about 35 km from the INO site as the crow flies. As for reservoir-induced seismicity, INO is not a dam or a storage structure and it has nothing to do with water impounding and therefore the question of reservoir-induced seismicity does not arise. The seismic status of the Idukki dam will not be altered by the INO project. What about the rock debris disposal? The volume of excavated rock is expected to be about 2.3 lakh cubic m. This is equivalent to approximately 600 ktons in weight. This will be excavated using 450 tons of explosives. It is further clarified that excavation using explosives will not be in a single day but spread over a period of about 3 years. All hydroelectric projects in the vicinity, including Idukki Project, have excavation volume to similar extent by the same method of using explosive some 20-30 years ago; and now excavation procedures are far more refined and controlled. Will there be any dust contamination due to the rock debris that is excavated? About 90%-95% of the rock debris will be in the form of large solid chunks of rock which are useful for construction. Hence this will be disposed off, leaving a small fraction for local use by INO. While a small portion will be used in the project the rest will be the property of the TN Govt and will be disposed off in consultation with them. Inside deep tunnels, the particle carriage to the outside is a remote possibility: most of it will get deposited in the tunnel itself and will be wetted and removed. The rock debris will be stored in a yard designated for the purpose on INO land that will be covered on all sides to prevent any dispersion. Hence no contamination of farmlands or water sources is expected due to this dust. Will there be any chemical contamination of ground water resources due to chemicals used in tunnelling? No chemical grouting is envisaged in the entire project. Hence no groundwater contamination due to chemicals is expected during the construction. Do you plan to store any radioactive waste at INO? No. INO is a basic sciences project, not a nuclear waste facility. No part of the INO laboratory and no part of the entire INO site will be used to store radioactive waste at any time. areas as this is the main catchment areas for major reservoirs including Vaigai and Vaippar? Will INO impact the aquifers in the area? Aquifer is a term meaning water bearing and normally confined to porous and permeable soil/ sediments and not hard rock such as Charnockite. It may be pointed out that the rock is the same charnockitic rock as in Idukki reservoir where no water seepage problem has been found. All dams in the vicinity of the area are rain-fed. Hence no aquifer contributes to the dams' storage and hence no contamination is possible. The INO access tunnel is a horizontal tunnel in hard rock and hence will not induce any subsidence. All slides in this area are confined to soil and not rock. Furthermore, the water table conditions in hard rock at such depths do not occur or prevail, in contrast to say a smooth water table below sandy soil. Hence no environmental damage and impact can be caused. The whole project will be located in a very hard massive rock but for a shear zone running across the tunnel, not parallel to it. Water quantum trapped in shear zone, if any, will be known only during tunneling. This water is not connected to regular water table and will not affect the aquifers in the area. Will INO impact dams in the region? No. Blasting to be carried out for excavation of the cavern and associated components underground is likely to cause low vibrations. However, it is likely to be much lower because of the overburden of hard rocks and soils, except in the case of the initial sections of the tunnels. Estimated particle velocities are shown in Fig.2. For example, at 500 m from the portal it is approximately 3.4 mm/s and on the peak above cavern (about 2000 m or 2 km from portal) it is approximately 0.5 mm/s. The nearest dams are more than 20 km away and hence INO will have no impact on them. 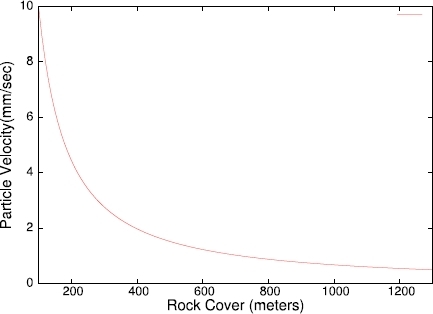 Figure 2: The particle velocity (m/s) as a function of rock cover (in m). The Pykara PUSHEP hydel project is a deep underground project with nearly 13 km of tunnels including the powerhouse cavern which is underground. The Glen Morgan forebay which is the source of water for the hydel project is just ABOVE the underground powerhouse and the network of tunnels. The tunneling itself was carried out within a few hundred metres of the heritage Singara power house, with no damage to any of these installations, which continued functioning throughout. Furthermore, the Pykara dam on the Ooty peninsula is within 15 km of the PUSHEP project site. No damage to the dam occurred. Closer home, even in the Idukki project, the underground powerhouse and the water-bearing tunnels were completed about 2 years AFTER the commissioning of the dam. No damage to the dam occurred. The Kadambarai hydel tunnel in Coimbatore connects two dams in Kadambarai and Upper Aliyar. The tunnel runs right below the reservoirs and was concurrently constructed with dams. No damage occurred. The Konkan railway tunnels have been constructed close to many dams in the Western ghat region of Karnataka and Goa. For example a tunnel of length 2.95km near Karwar of Konkan Railway is about 20kms from the Kadra reservoir across Kali river. The tunnel was constructed well after the dam was completed. Suruliyar tunnel, Periyar tunnel from Mullai Periyar dam was excavated after the creation of reservoir. There are many examples of metro rail tunnels in all major cities. What would be the water requirement of water (in litres) every day during construction and post-construction? Poromboke land to the extent 26.82.5 ha has been given by the TN government for the purpose of establishing the laboratory at Pottipuram. No more land has been acquired or is needed for the laboratory. Land to the extent of 12.15.5 ha has been acquired from the government of Tamil Nadu for IICHEP at Madurai. raised during the public hearing and what was the response. The project proposal was submitted to the MOEF as per EIA Notification 2006. This was assessed by the Expert Appraisal Committee in January 2011 under Category 8 and hence a public hearing is not mandated. Despite this fact, and in good faith to be transparent across the board to all, INO arranged for a public meeting on July 8, 2010 which was attended by more than 1000 people, after which the District Collector, who chaired the meeting, announced that the project will be executed with the approval of the local Panchayat. Questions raised during this meeting were answered and listed in the older FAQ available on the INO website11. Even before this and after this meeting several meetings have been held in the surrounding villages and towns to explain INO project. On a larger scale, INO outreach activities have been conducted in many parts of India, including Kerala and even as far as West Bengal making use of every opportunity provided by organisors of such meetings all over India. be located that will send neutrinos to INO? No such neutrino factories or muon colliders exist. Much theoretical research has gone into considering such possibilities. At present the technological know-how does not exist. While many research papers looked into the physics potential and feasibility of such neutrino factories, currently there is no plan to build any. This is primarily because one of the main neutrino parameters to have been studied with such a set-up has already been determined through conventional neutrino experiments, in fact from neutrinos produced in reactors. There are many neutrino experiments around the world and they study neutrinos from different sources. Some of them receive neutrinos from proton accelerators nearby (NOT from neutrino factories or muon storage rings). In fact, neutrinos cannot be accelerated or collimated since they are neutral particles which interact extremely weakly. They are produced indirectly by other particles in laboratories. These neutrinos produced from so-called artificial sources are not in any way different from naturally occuring neutrinos; it is the source that is different, not the neutrinos. the environment including people, water, soil and wildlife? The radiological effect due to neutrinos at INO is expected to be negligible or non-existent. The theoretical studies show that the effect of even such neutrinos is inversely proportional to the square of the distance from the source. For a source at an imagined distance of 5000 kms, it is estimated that a 50 GeV neutrino source has a radiation dose equivalent of 1/100000000 mSv (one part in 10 crore milli Sievert) per year. To understand, compare this with the average annual dose due to natural radiation which is about 1 mSv. For single CT scan this is about 2-16 mSv.12 Another way of looking at is that the count rate due to the futuristic neutrino beams from neutrino factories 7000 km away would still be at least 10,000 times less than that due to naturally occurring radioactivity. The atmospheric neutrinos, naturally produced in our own atmosphere, that INO will study, are isotropic (coming from all directions and not a beam). What happens when a neutrino beam, which may create hadrons showers, sent from Chicago emerges here? INO is placed underground to eliminate cosmic radiation to the maximum extent possible. There will be no radioactive contamination or emission of hazardous chemicals due to INO. No project sending neutrinos beams from any other part of the world, including Chicago, is under consideration. In fact, no such neutrino beam exists! Hence this fear is completely unfounded. Reference to "hadron showers" at the point of emergence refer to the source of such an (imaginary and nonexistent) neutrino beam and not to the lab. Note that billions of neutrinos are constantly impinging on us from the sun and other stars and from our atmosphere. Indeed, we ourselves produce millions of neutrinos per day! What is the connection between INO and Fermilab in the US? Has it got some thing to do with weapons research? No. There is no connection between Fermi Lab and INO. There is no US participation in INO project or from any other country other than India at present. As explained earlier, INO is not a project imposed on scientists by any agency or any Department of the government of India, leave alone any other country. There is no question of weapons research: this is a basic sciences laboratory which is open to all interested students and researchers. There is some confusion about "neutrino weapons" due to an article that discusses a futuristic option to achieve world peace by using neutrino beams to destroy nuclear weapons due to concerns about implementation of non-proliferation. Hence neutrino weapons are not the aim, but quite the contrary, as is clear from just reading the title of this paper13. In any case, INO is not involved in any suchresearch. Its main goal is to study certain properties of neutrinos that may help in understanding the evolution of our Universe. The challenge for INO is to build a world-class science laboratory, keeping in mind the ecological and environmental concerns, especially during the construction phase, and to actively participate in on-going conservation efforts in the region. During its normal operation phase, the laboratory is not expected to cause any damage to the environment. All efforts will be made to minimise the disturbance during the construction phase. INO will ensure that its activities are in conformity with environmental laws as are applicable. All members of the collaboration, executing agencies and their workers will be trained to cooperate in ensuring compliance with environmental guidelines. It is imperative to recognise that the study of Nature's innermost workings need not be at loggerheads with Nature itself. Models of S & T development that are sensitive to environmental conservation thus assume importance. The proposed India-based Neutrino Observatory (INO) offers immense opportunities and a challenge for realising such a model. 8For more on Seismic zonation classification see the paper: An overview of seismic zonation studies in India, A K Mohapatra and W K Mohanty, Indian Geotechnical Conference 2010, GEOtrendz December 1618, 2010 IGS Mumbai Chapter and IIT Bombay. 9For the hydrological study of the region see the report: Central Ground Water Water Board (GOI) Report 2008: District Ground Water Report– Theni District. 10Minimum recommended usage for the LIG and the economically weaker sections of the society and in small towns; Bureau of Indian Standards, IS:1172-1993. 12CERN internal report, Colin Johnson, Gigi Rolandi and Marco Silari 1998, and other sources. 13Destruction of Nuclear Bombs Using Ultra-High Energy Neutrino Beam, Hirotaka Sugawara, Hiroyuki Hagura, Toshiya Sanami, arXiv-hep-Physics/0305062, 2003.